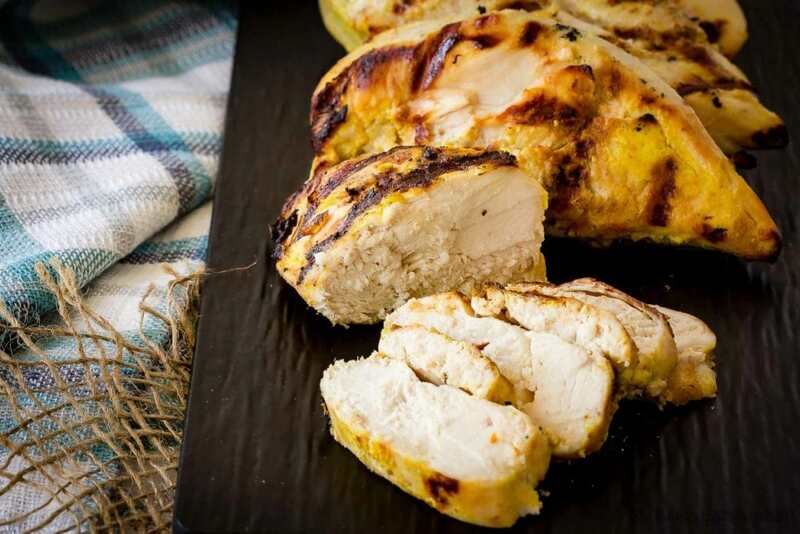 This tandoori chicken marinade is easy to mix up and adds so much flavour to your chicken. 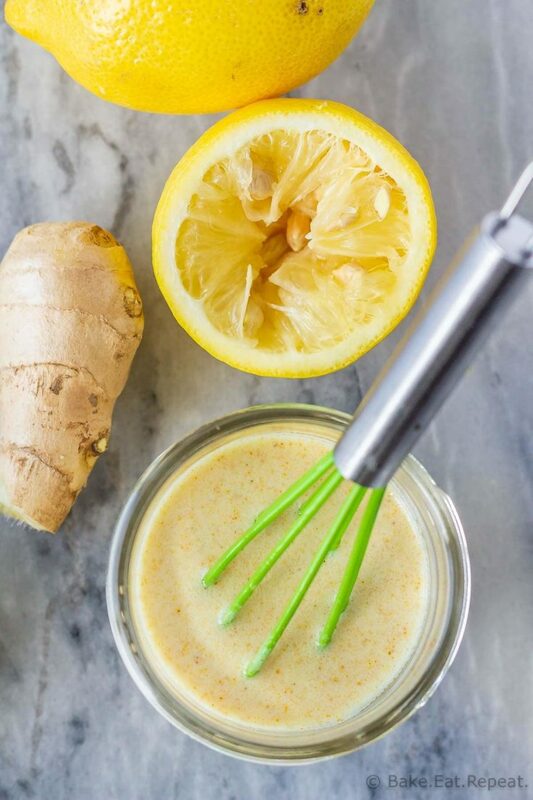 Marinate and then grill or bake, or freeze for later! 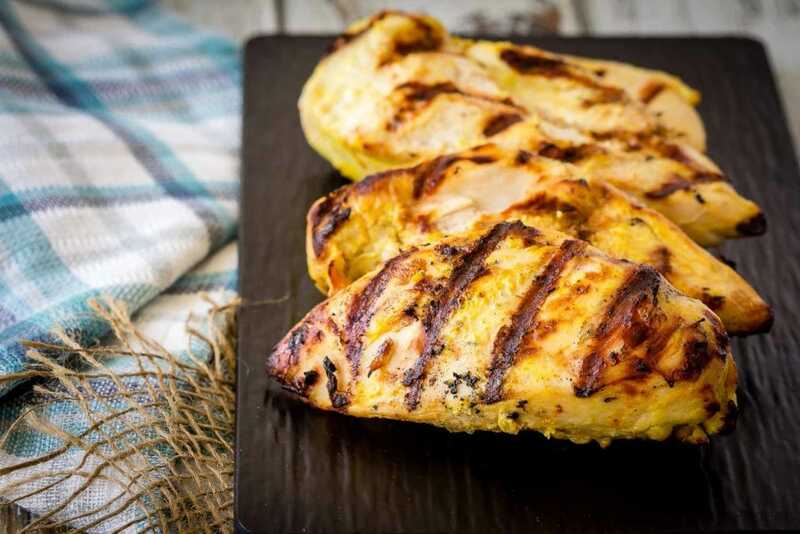 Using recipes like this tandoori chicken marinade has made my life so much easier this summer. I don’t about you, but I get a little bit sick of eating plain old grilled chicken with BBQ sauce for dinner. Easy yes….but a tad boring after a little bit. My husband would totally disagree with this statement. He likes nothing better then grilled chicken with BBQ sauce – simple and delicious. This tandoori chicken marinade is fantastic. It’s easy to mix up and adds so much flavour to the chicken. I don’t know how authentic this is as far as tandoori chicken flavour – having never had actual tandoori chicken myself I can’t vouch for it’s authenticity. Also I don’t recall where I found this particular marinade recipe, and I’ve changed it a bit. So….not authentic I’m sure. But it IS tasty. Perfect just grilled on it’s own, and we like to serve it with rice and a salad for a simple, tasty meal. 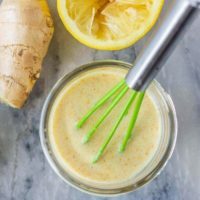 Here are a few more great chicken recipes for you: Slow Cooker Butter Chicken, Greek Chicken Kabobs with Tzatziki Sauce, and Honey Lime Chicken. Place the chicken breasts in a large ziplock bag. 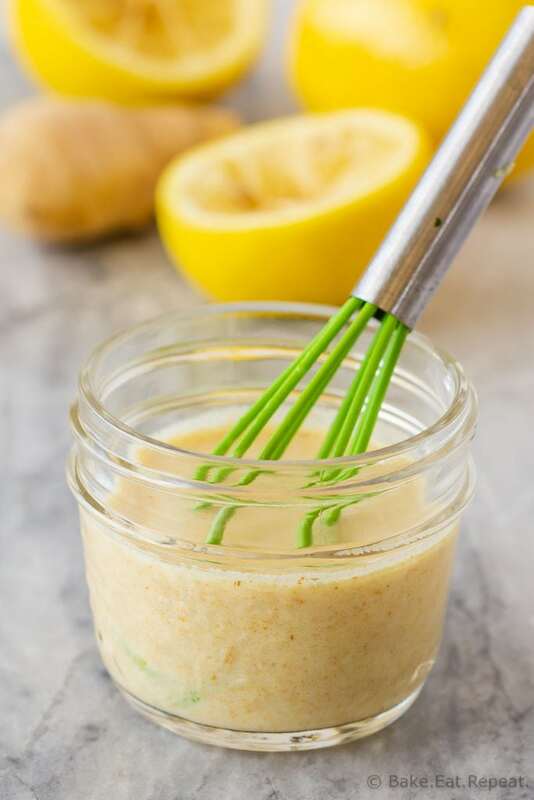 In a small bowl, whisk together the yogurt, dijon mustard, ginger, cumin, coriander, turmeric, lemon juice, canola oil and cayenne pepper.